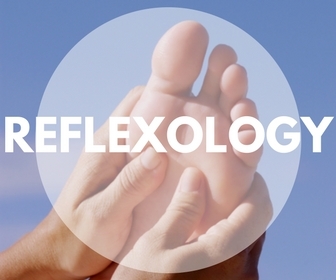 Foot reflexology is a holistic therapy that encourages the whole body to return to a healthy balance. It is the practice of stimulating specific reflex areas on the feet to promote the body’s self-healing capacity. Since over 7000 of our bodies’ nerves end in these reflex areas on the feet, a reflexology massage stimulates these reflexes to bring all body systems into balance, thus healing or preventing illness and discomfort. Our feet may be a small part of our anatomy but 1/4 of all body’s bones are located there, thus the feet are extremely important to our well-being. Some of the commonly reported benefits of reflexology are total body relaxation, improved circulation, stronger immune system, lower blood pressure, pain reduction, decrease in stress and anxiety, hormonal balance, cleansing of toxins, shorter duration of infections, and improved sleep. Reflexology can also be beneficial in treating more specific conditions and symptoms, and is a great form of preventative therapy. “I swear… there is just something in your hands that comes from another Source. Amazing reflexology tonight as usual. Thank you SO much Tammy! !” —M.O. Click here for an interactive reflexology map of the feet and body from the Association of Reflexologists! A Caring Light was delighted to give these sisters, Rebecca, 9 and Alyssa, 13, their first reflexology sessions! It’s great for young people to have holistic health services to address issues before they lead to illness or disease, and as a preventative health measure.